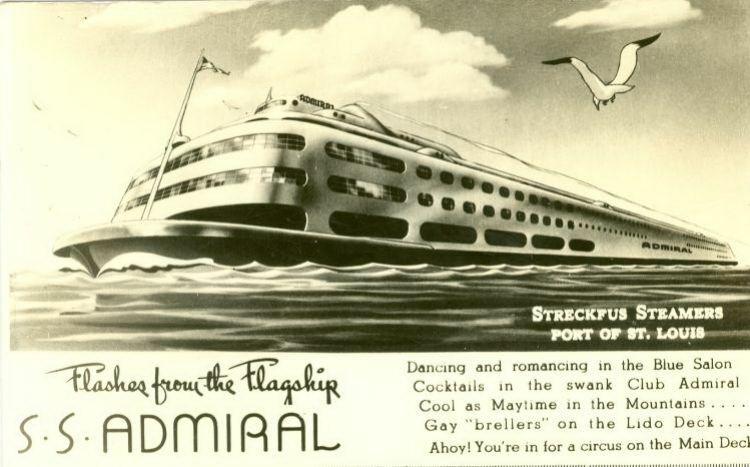 From 1940 until 1979, the gleaming 342-foot long S.S. Admiral was a familiar site gliding beneath the bridges. The world's largest inland river liner was a converted steamship originally know as the "Albatross". The dance floor had room for 2,000 people! The Admiral was stripped of its engines and later converted to a casino, which closed in 2010.